Looking for a Valentine's Day gift for your loved one that LOVES to cook or is looking to be healthier this year?? Then let me recommend Nutri Ninja® Nutri Bowl™ Duo™ as a Valentine's Day gift this year! This Nutri Ninja Nutri Bowl DUO introduces Nutrient Fusion, which creates a fusion of foods containing nutrients from fruits, vegetables, and other foods and it is great for the person who likes to make fresh, healthy meals, snacks and desserts! For the first time ever, this groundbreaking innovation combines Ninja’s powerful Nutrient & Vitamin Extraction — breaking down fruits and vegetables to unlock their full potential-- with the all-new Nutrient Fusion that brings fresh, vibrant ingredients together for flavorful, nutritious meals, snacks, and desserts worth savoring. 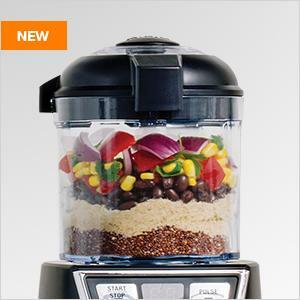 With one base and two interchangeable vessels, the 1200-watt Nutri Ninja Nutri Bowl DUO with Auto-iQ Boost easily switches from a powerful Nutrient &Vitamin Extractor to a versatile Nutrient Fusion Processor. With Nutrient & Vitamin Extraction and Pro Extractor Blades Assembly you can easily break down whole foods, seeds, ice, and nuts to create nutrient-rich ingredients in unique forms like smoothies, shots, pops, and purees. 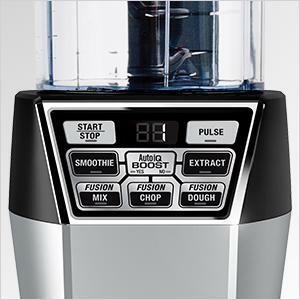 While the Nutri Bowl paired with Ninja's Precision Prep blades brings fresh, wholesome ingredients together to make flavorful Nutrient Fusion meals, snacks and desserts from proteins, vegetables, whole grains, fruits, nuts, and your favorite cooking and baking ingredients - you can even make dough. Auto-iQ Technology provides customizable and intelligent programs that combine timed pulsing, blending, and pausing patterns to do the work for you. Easily make your favorite recipes with unique programs that deliver delicious smoothies, snacks, meals, and desserts with zero guesswork. Its countdown timer displays how much time remains on the Auto-iQ settings, or counts up to track blending time when using manual speeds. PLUS, the containers, blades, and lids are BPA free and top rack dishwasher safe! It really makes a great gift for the home chef (or someone who is trying to be one!) on your Valentine's Day list this year!! 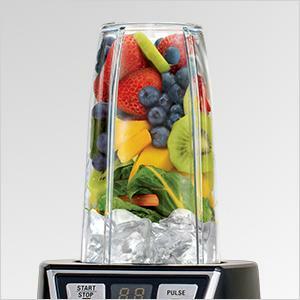 You can purchase the Nutri Ninja Nutri Bowl DUO for $139.99 from the Ninja Kitchen website.